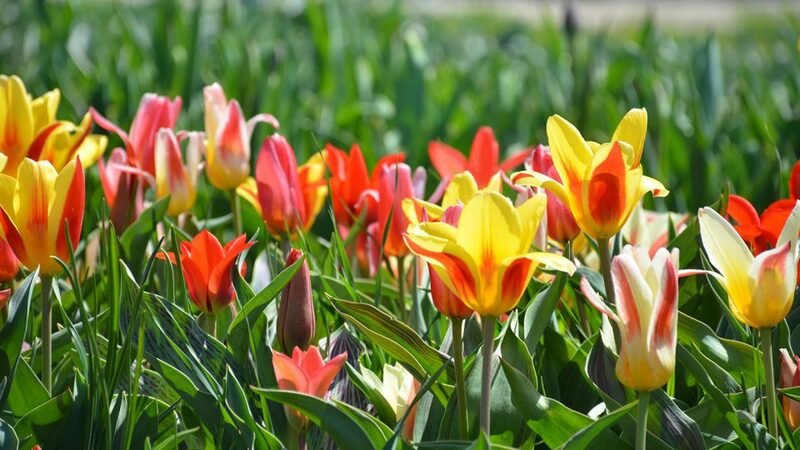 See five million blooming tulips — not brake lights and toll booths — this May 4 and 11 when Amtrak and the Michigan Department of Transportation (MDOT) offer additional service between Chicago and Holland, Mich., for Holland’s annual Tulip Time Festival. Amtrak special train arriving at the Holland Amtrak Station for the Tulip Festival. Tickets can be purchased via Amtrak.com, our mobile apps, or by calling 1-800-USA-RAIL. On Train 374 will be representatives from the Holland Area Visitors Bureau, who can assist with expert local information. Parking at the Amtrak Hammond-Whiting station is free of charge. Book now for best availability and pricing. Adult fares on the Amtrak MidwestSM trains on those Saturdays range from $26.00-$53.00 each way to and from Holland. Children ages 2-12 are half-fare with each adult. 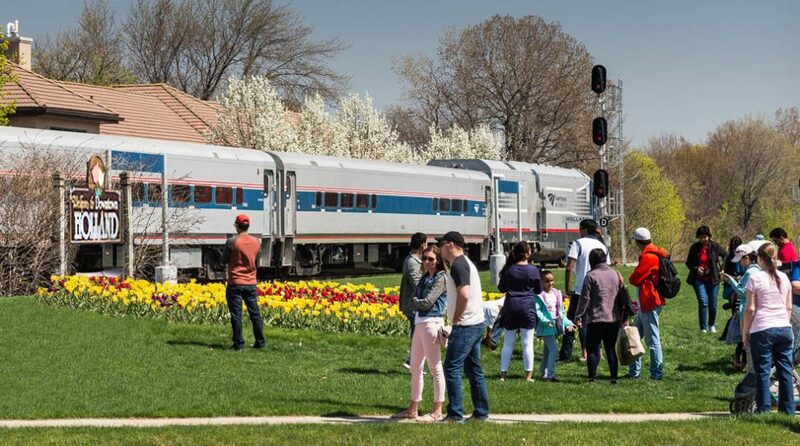 The Pere Marquette also provides daily service from Chicago to Holland for travel during the nine-day festival, and all Pere Marquette trains will stop at Hammond-Whiting on May 4 & 5 and May 11 & 12. The Michigan page on Amtrak.com has more information. Information on shuttle services from the Holland station and best ways to get around town on specific dates, along with the times and locations of all events are in this guide, by calling the Holland Area Visitors Bureau at 1-800-506-1299, or by visiting Holland.org. Delta to fly nonstop between Detroit and San Jose, Calif.